We are cancelled right through till Wednesday at this stage as another storm front is bringing rain and gale force winds for most of the week. At the moment there is very little snow left on the track, this storm front may take most of the snow from the track so the next operational day may be freedom hiking all the way over. Roughly a third of DOC’s budget goes into indirectly subsidising tourism infrastructure. Concessions paid by tourism companies operating within protected areas are failing to support conservation efforts. This is the finding of new research by Victoria University, which suggests the Department of Conservation (DOC) is spending roughly a third of its budget subsidising tourism, but receiving little in return. In contrast, only 9 per cent of DOC’s annual budget comes from the tourism industry, which includes concessions from operators, tourist user fees, donations and sponsorships. 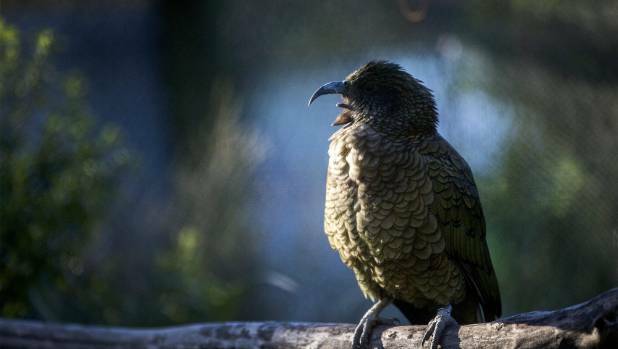 Sustainability expert Valentina Dinica, who conducted the research, said the relationship had to be reversed if Kiwis hoped to save protected areas and stall the decline of 2800 threatened species. “New Zealand’s biodiversity is in crisis – tourism is not,” she said. Victoria University Sustainability expert Valentina Dinica says the Government should start investigating new ways to raise funds from tourism, in order to combat the decline of New Zealand’s natural environment. The research, conducted between 2009 and 2014, showed the amount DOC spent maintaining and upgrading tourism facilities was actually increasing – a trend that Dinica said had continued unabated. Dinica said the key to addressing the imbalance was for the Government to increase the demands placed on tourism operators working in protected areas. Too much emphasis was placed on partnerships with big players like Air New Zealand, to the detriment of gains to be had from smaller concessionaires, Dinica said. Previous amendments to the Conservation Act also allowed concessions to be granted for much larger periods, limiting the opportunities for public engagement. “We should use financial instruments, such as tourism taxes, national park entry fees and a wider range of user charges,” she said. “New Zealand citizens and residents could be excluded, or charged at lower rates, to recognise their contribution as taxpayers,” she said. Dinica said there had been a “persistent lack of political willingness by New Zealand governments” to introduce any such financial tools. Conservation Minister Maggie Barry said she had been encouraging DOC to evaluate and tighten up its concession process. “That means taking a more commercial approach to contracts, not just in a financial sense but also to ensure good biodiversity and conservation gains as part of DOC’s partnerships work,” she said. Barry said “a suit of changes” were currently be worked through around how DOC made sure it received appropriate levels of revenue for facility upkeep and conservation contributions. In May the Government announced the establishment of a $102m tourism infrastructure fund, alongside an extra $76m for DOC. The additional funding was ring-fenced for developing tourism infrastructure and developing new National Walks, with none of the funds able to be used for conservation. The Victoria University research recommendations echo those made in May by Parliamentary Commissioner for the Environment Dr Jan Wright, who urged the Government to consider a nature levy at the border. Wright’s recommendation was in light of findings that New Zealand’s native bird life was in a ‘desperate situation’ with 80 per cent of our native species threatened.